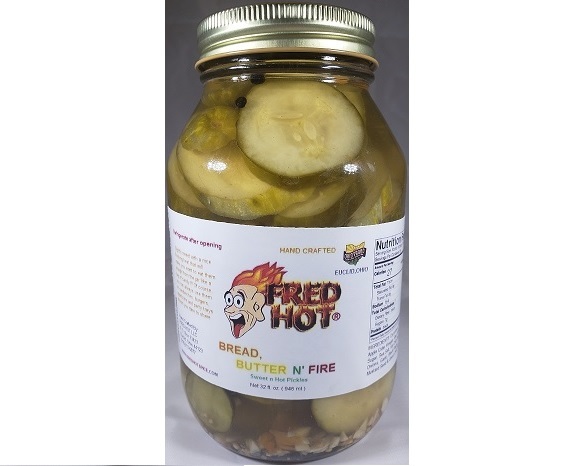 Bread Butter N’ Fire Pickles. Sweet Heat ! When we say fire, we mean it. These bring some heat with some nice sweet !! !